Trump's executive order: where is global immigration now? Pro-Link GLOBAL explores the global immigration implications of U.S. President Donald Trump's Executive Order. Today marks three weeks since U.S. President Donald Trump signed his Executive Order “Protecting the Nation From Foreign Terrorist Entry Into the United States.” While the media is replete with daily stories surrounding the controversial move, in reality not much of lasting significance has happened yet. 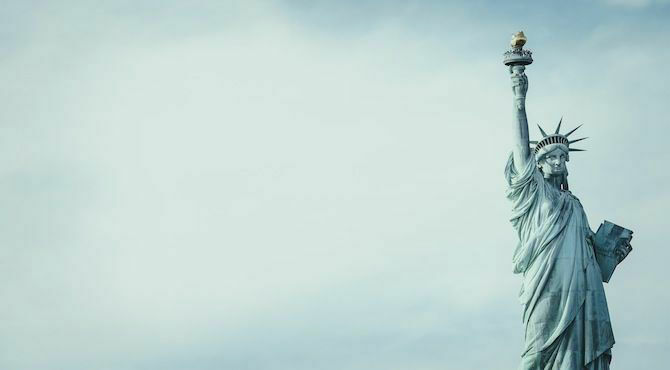 While Pro-Link GLOBAL is concerned – as many are – with the Order’s impact on refugees and U.S. visa holders, our writing on the topic will continue to focus on our corporate clients and the potential impact on their global immigration needs. Here is Pro-Link GLOBAL's quick status update on where we stand now, and what, if any, impact the events of the past three weeks are having on the global marketplace. Permanent Residents and Dual U.S. Citizens – Shortly after the Executive Order was issued, Department of Homeland Security (DHS) and Customs and Border Protection (CBP) clarified that its provisions would not be applied to legal permanent residents or dual citizens of the U.S. who are citizens from the affected nations (i.e. Syria, Iran, Iraq, Libya, Somalia, Sudan, and Yemen). The federal courts have likewise backed up that position with temporary restraining orders. The DHS and CBP are not denying entry to, nor pursuing deportation of, such individuals. Dual Citizens of Other Nations – Likewise, dual citizens of one affected nation and another unaffected nation are not subject to the Order. The CBP has issued specific guidance that the Order does not apply to citizens of the affected countries who are traveling on a valid passport issued by an unaffected nation. Refugees – While the Order has not been invalidated, the federal courts have temporarily suspended operation of certain provisions applicable to the Refugee Admissions Program (RAP) Currently, refugees already with entry authorization from the affected nations are being permitted entry to the United States. However, the significant decrease of the fiscal 2017 refugee cap to 50,000 has not been stayed; with almost 30,000 refugees already admitted this year, new applications under the RAP will remain extremely tight. Valid U.S. Visa Holders – Likewise, the courts have stayed provisions applicable to valid U.S. visa holders from the affected countries. Holders of valid U.S. visas who are citizens of the affected nations are being permitted entry to the U.S. All valid visas which had been revoked, but not physically destroyed, remain valid, and there no deportation action is being taken based on the Order. The reported increased vetting of foreign nationals at the borders – including more frequent entry interviews – is being conducted by authorities under already existing policies and discretion. The Visa Interview Waiver Program remains suspended. New and Pending Visa Applications – The federal courts have also temporarily restrained authorities from refusing to process pending visa applications, or refusing to accept new visa applications, from citizens of the affected nations. However, it remains unclear at this point to what extent overseas U.S. consular posts and in-country immigration authorities are actually continuing to process such applications. All should bear in mind that the current status is temporary and susceptible to change with little notice, as the issues are still in play in the courts. Going forward, indications are that the Trump administration is going to proceed with a two-pronged response. First, administration lawyers will pursue overturning the several court orders enjoining portions of the current Executive Order, the most significant being that in the Ninth Circuit. While the matter will likely culminate in a Constitutional show-down at the Supreme Court at some point, Pro-Link GLOBAL believes the administration will first attempt to argue the merits of its case at the Circuit and District Courts before risking a permanent setback at the high court.Second, the administration has indicated that it will issue an additional executive action next week as a possible “end-around” the courts. Much of the basis for the court decisions on the Executive Order was the wide scope and general language of the Order. Pro-Link GLOBAL believes that the new executive orders in the coming weeks will cover the same issues, but contain much more detailed language in an attempt to “court-proof” the measures going forward. We expect such new orders to contain a more detailed factual case for suspending entry from the affected nations, a narrower scope carefully omitting foreign nationals already legally in the U.S., and greater procedural details on how case-by-case exceptions will be made, omitting any preference for religious minorities. Iran – While the Wall Street Journal appears to be alone in reporting that Iran has in fact stopped issuing visas to U.S. citizens, there has been no official policy announcement by the Iranian Ministry of Foreign Affairs or other corroborating media sources. At present, concerns over a potential immigration ban by Iran pale in comparison to greater concerns over increased tensions surrounding Iran’s ongoing nuclear program and recent ballistic missile tests. U.S. citizen travel to Iran remains under a U.S. State Department travel warning and is now only more ill-advised given the escalating tensions. Iraq – On the Monday following the Order’s issuance, the Iraqi Parliament quickly urged their Prime Minister to respond in kind. However, Prime Minister Haider al-Abadi appears to be resisting pleas to take reciprocal action, fearing the self-inflicted harm for Iraq of the potential loss of U.S. military and economic aid. Syria, Libya, Somalia, Sudan, Yemen – There has likewise been no reciprocal action taken to date by Syria, Libya, Somalia, Sudan, or Yemen. In these nations, Pro-Link GLOBAL believes we will not likely see significant action given their current internal conflicts; and practically speaking, any action would have negligible effect on U.S. business interests regardless. Other Predominantly Muslim Nations – As for potential action by other majority-Muslim nations, Pro-Link GLOBAL is likewise currently seeing no indicators of movement towards negative immigration consequences for U.S. citizens in countries such as the United Arab Emirates, Saudi Arabia, Kuwait, Oman, Qatar, and Egypt. Given the strong international economic interests there, and given that the Trump administration has carefully avoided immigration action against these nations – presumably for economic reasons – we expect no such future action. This is provided as informational only and does not substitute for actual legal advice based on the specific circumstances of a matter. We would like to remind you that Immigration laws are fluid and can change at a moment's notice without any warning. Please reach out to your immigration specialist or your client relations manager at Pro-Link GLOBAL should you require any additional clarification. This alert was prepared by your Pro-Link GLOBAL Knowledge Management team. Information contained in this Global Brief is prepared using information obtained from various media outlets, government publications and our KGNM immigration professionals. Written permission from the copyright owner and any other rights holders must be obtained for any reuse of any content posted or published by Pro-Link GLOBAL that extends beyond fair use or other statutory exemptions. Furthermore, responsibility for the determination of the copyright status and securing permission rests with those persons wishing to reuse the materials. Interested parties are welcome to contact the Knowledge Management Department (km@pro-linkglobal.com) with any additional requests for information or to request reproduction of this material.